I am sorry to hear about the fish. :( I am in the process of developing a program for aquarium owners that will allow them to keep track of the water chemistry (hardness, pH, gH and kH) and create reminders for water and filter changes. 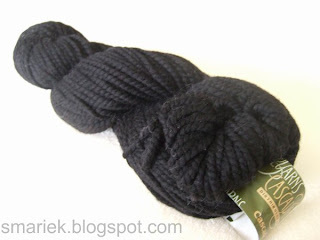 One thing great about bulky yarn - its done in a jiffy! 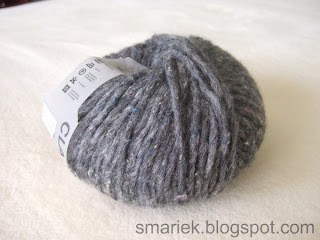 I started a bulky hat for a Canadian friend yesterday and should be able to finish it tonight. Those longer mitts will be really useful, sometimes you don't feel like putting on a jacket, I would just don those and a cowl and be set to go (in addition of course to a normal outfit). Sorry about the little Betta, I had three of them and one lived for quite awhile. 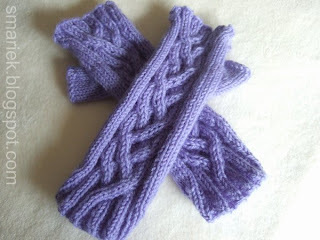 I like the longer mitts; I think they look very elegant. Good luck finishing another pair by party time. Oh! I'm currently typing up a cabled fingerless mitt pattern for bulky yarn with US8's that will just about use up that skein. 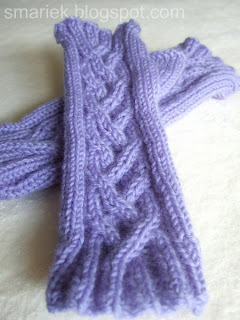 I've yet to release it on Ravelry because I don't have pics yet, but the pattern name is Flou Amour.